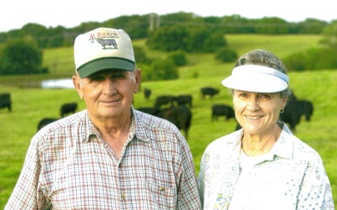 Mel and Joyce Williams have been farming for 50 years. 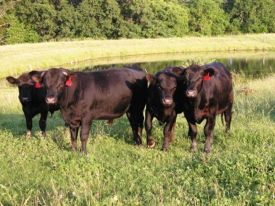 For the last 25, they have been raising Angus cattle on their 670-acre ranch, just outside of Lawrence, KS. MJ Ranch LLC is an Animal Welfare Approved production and Certified Grassfed by A Greener World. These high-welfare certifications are indicative of the humane, sustainable practices implemented on the ranch, which contribute to the quality of beef produced. The cattle are allowed to graze in open pasture, are not administered growth hormones or routine antibiotics and are fed a species-specific diet of green grass and dried hay. These conditions support the healthy development of the animals and allow Mel and Joyce to produce the highest quality product possible. Mel and Joyce connect with new customers at a local expo once a year, by word of mouth and via their website www.mandjranch.com. Their gourmet ground beef is sold in four grocery stores in the area. 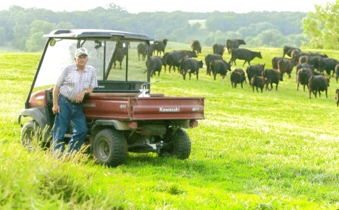 Custom cuts of 100% grassfed Angus beef can be order online, directly from the farm. Additionally, customers can purchase bulk beef (¼, ½, or a whole) from the ranch on a yearly basis.